Nearby the Dappermarket you'll recognise Mezzo by the orange canopy and the orange terrace chairs. 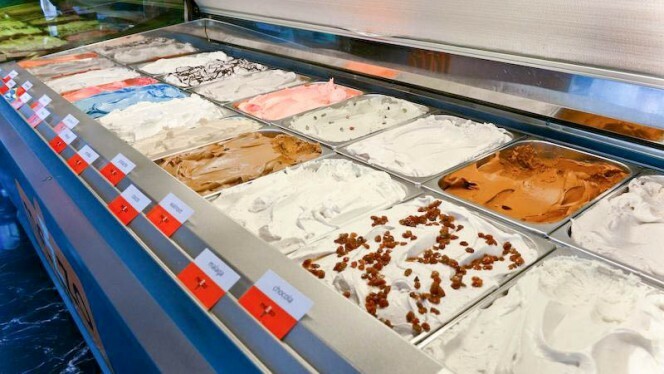 They always have a great selection of home made ice cream, to be decorated with disco dip, M&M's or fruit sprinkles. Or would you prefer a healthy sorbet? 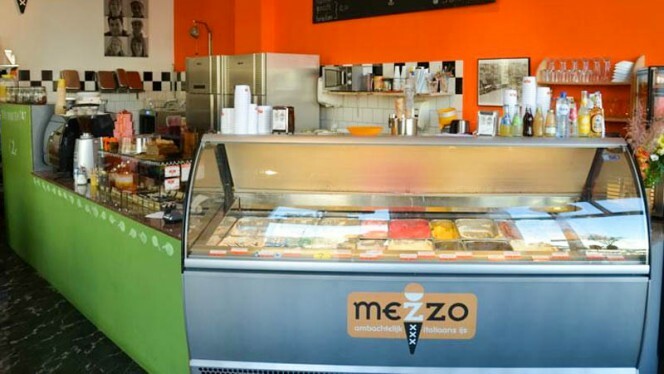 Mezzo serves lunch as well, like a falafel plate, rich chicken salad or crispy bread with salmon.